Americans for Tax Reform, a DC-based taxpayer advocacy group, has come out in support of the Pint Bill. 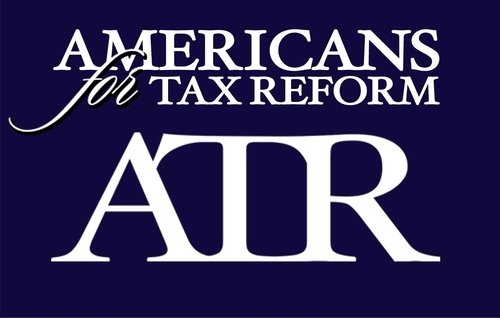 ATR’s stated goal is “a system in which taxes are simpler, flatter, more visible, and lower than they are today.” The group is headed by tax activist Grover Norquist. The group has issued a letter to South Carolina Senators urging them to support the bill. The letter makes a strong economic case for the bill, highlighting job creation and tax revenue being lost by the state in not allowing breweries to have this kind of exception to the three-tier system allowed by other states. I write today in strong support of SB 423, legislation introduced by Sen. Campbell that would allow Palmetto State residents to purchase up to 64 ounces of beer on the premises of a brewery. There is simply no good reason for the state to continue to prohibit consumers and businesses from engaging in lawful commerce in a responsible manner. SB 423 is a commonsense, pro-growth bill that would amend a nonsensical and archaic provision of state law – which costs the state revenue annually and restricts the freedom of consumers– and will give South Carolinians the chance to directly support in-state small businesses. While the sale and distribution of beer and wine is conducted in a three-tier system, the vast majority of states allow some exceptions to this for samples and sales on site at microbreweries. It is time for South Carolina to join the ranks of those states and give small businesses the freedom to meet the direct demands of their consumers. Although Prohibition was repealed over 75 years ago, South Carolina still has the dubious distinction of being among the handful of states that still prohibit the sale of pints on-site at breweries. This ill-advised ban reduces economic liberty and causes the state to needlessly forgo a large amount of revenue. Eliminating this prohibition would grow government coffers in the most preferable way possible: through economic growth and an expansion of commerce, not higher taxes. It would also lead to economic growth for small businesses and encourage others to start their own breweries. Members of the South Carolina Legislature, many of whom were elected to office on a platform promoting economic growth and liberty, should support SB 423, which promotes competition, consumer choice, and the rights of small businesses to grow and thrive. For this and the other aforementioned reasons, I urge you to support SB 423, which is a smart, pro-growth bill that would remove an unnecessary impediment to private sector growth and job creation. ATR will continue to follow this issue and will be educating South Carolina taxpayers as to how their representatives in the legislature vote on this matter.